The Community Health Foundation is a nonprofit organization that was founded in 1979 by Aspirus Langlade Hospital. Its mission is to provide for the health care needs of the community through financial and educational support. Langlade County and portions of Forest, Shawano, Marathon, Lincoln, Menominee, Oconto, and Oneida counties have all benefited from the efforts of the Foundation. The Community Health Foundation is incorporated as a 501(c)(3) not-for-profit corporation and is governed by a volunteer board of directors. To make a donation, contact The Community Health Foundation at 715-623-9557, email betsy.kommers@aspirus.org or donate online via the link below. The Mission of The Community Health Foundation is to identify needs, raise funds, and award grants to advance health care and the health and well-being of people in Antigo and neighboring communities served by Aspirus Langlade Hospital. The Community Health Foundation and staff will conduct their work in a compassionate, responsible and respectful manner. Effective stewardship is demonstrated through responsible allocation of resources. The Foundation will support the Mission, Vision and Values of Aspirus Langlade Hospital. The Foundation’s outreach efforts will be limited and kept within the boundaries of the service area of Aspirus Langlade Hospital. Unrestricted Fund – Funds available to be used for various programs. Monitored and managed by Board of Directors. Endowment Fund - The Foundation is working toward a million dollar endowment to secure the availability of quality healthcare for generations to come. None of this money can be spent until the endowment reaches $500,000. At that time the interest can be utilized to support programs designated by the Board of Directors of The Community Health Foundation. Oncology Fund – The purpose of the Oncology program is to meet the needs of cancer patients and their families that live in our community. The Community Health Foundation are dedicated to making the “cancer journey” a little easier for our patients and their families and let them know they are not facing this battle alone. ACLS Fund (Advanced Cardiac Life Support) – The Community Health Foundation defers some of the cost for advanced training. It also helps to pay for the instructors of the courses. CME Fund (Continuing Medical Education) – The Community Health Foundation defers some of the cost for continuing medical education and assists in paying instructors of the courses. Pediatric Fund - Funds available to be used for pediatric equipment or programs at Aspirus Langlade Hospital. Funds are monitored and managed by the Board of Directors. Hospital Equipment – Funds available to be used for capital equipment at Aspirus Langlade Hospital. Funds are monitored and managed by the Board of Directors of The Community Health Foundation. Thank you for considering a tax-deductible charitable gift to The Community Health Foundation. If you have any questions, please don’t hesitate to call Betsy Kommers at the Foundation office at 715-623-9455. Hospital foundations are finding their role increasingly important as the landscape of health care continues to change. 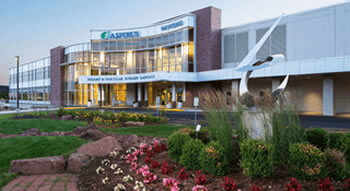 Aspirus Langlade Hospital founded the Community Health Foundation (CHF) in 1979 to provide educational and financial support to our hospital and seek opportunities within our community to improve health and awareness. In 2007-08 this organization successfully raised over $1.5 million dollars to provide area residents access to state-of-the art Cancer care. The CHF has provided free CPR training and equipment to community residents and hospital/clinic staff. The foundation also supports Lifeline services to over 600 subscribers residing in seven counties. In the past year the foundation distributed over $30,000 in health related grants to Kettlebowl Ski Hill, The Boys and Girls Club, The Bridge Dental Clinic, Community Partners for Medication Safety and Operation Compassion. Within Aspirus Langlade Hospital, foundation funds were utilized to provide patient dialysis chairs, journals to hospice and cancer patients, a port accessible t-shirt for chemotherapy patients, and a portable ultrasound unit to provide community stroke screenings. The foundation is excited to continue this wonderful grant opportunity to area schools.